Giant gift cards are sold at the office and H.O.P.E. receives 5% of each. Giant Food Stores’ Cash for Causes program provides an easy, convenient way for the community to support H.O.P.E. while grocery shopping! Giant gift cards are sold at the H.O.P.E. office and the organization receives 5% of each sale. 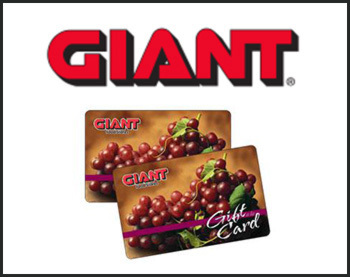 In addition to purchasing groceries, these Giant gift cards can be used at the pharmacy and to purchase gift cards sold at Giant for retail stores and restaurants! Checkout other fundraising events here.